- This color is particularly good when working with spiritual matters, and to encourage intuition. Encourages calming energies and a sense of tranquility. Approximately 1/2" in diameter, by 4" long. 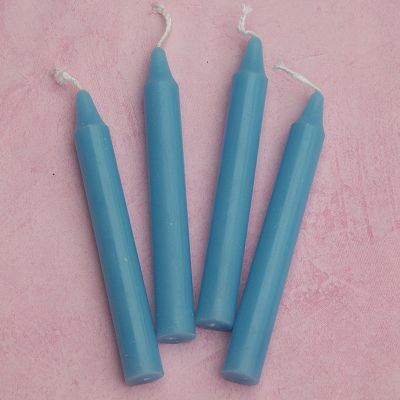 Do you have any other questions about our Light Blue Candles - set of 4 mini candles?